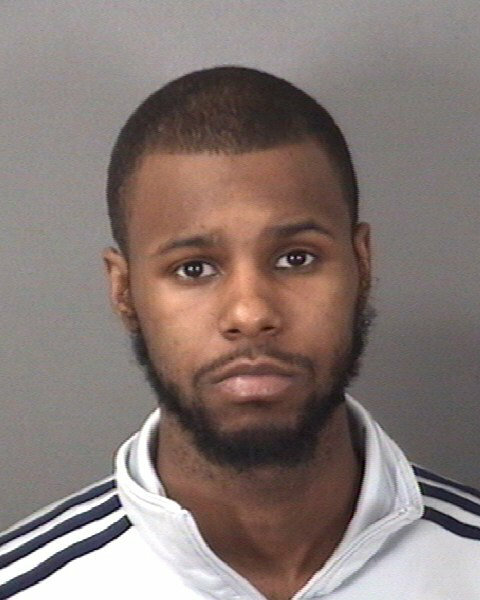 Trenton man charged in Mercer County corrections officer’s slaying was arrested night of murder | Homicide Watch Trenton | Mark every death. Remember every victim. Follow every case. Maurice Skillman was arrested for fighting with another black man outside of Trenton banquet hall on the same day a Mercer County corrections officer was gunned down there while attending a re-election party for President Barack Obama, according to testimony. Trenton Police Officer Timothy Long said he pulled up to a panicked scene outside of the Baldassari Regency banquet hall in the early-morning hours of Nov. 11, 2012. Hundreds of people had poured out into the streets after Mercer County corrections officer Carl Batie was shot in the head while he was talking to a security guard on the balcony of the banquet hall, and several street fights had broken out near the intersection of Morris Avenue and Division Street, Long said. Long said his attention was drawn toward two black males scuffling on Division Street. He ordered them to stop fighting and looked to intervene when they shrugged him off. One of the men, wearing a black hoodie and gray pants, the officer learned was Skillman, one of two men who would later find themselves charged with Batie’s murder. Hykeem Tucker is the second suspect in Batie’s death. Long’s testimony about Skillman’s clothing is important because it did not match the description of a shooter provided by a witness who testified Thursday morning. It was also notable because Long couldn’t identify Skillman in the courtroom, significant because Skillman has a twin brother, Marquis. Alex Feliciano, a convicted felon who was working security detail and speaking with Batie on the balcony about the correction officer’s pit bull breeding business seconds before he was shot, said he caught a glimpse of the gunman, who was clad in a gray hooded sweatshirt. Feliciano was perched on a wooden plank, keeping an eye on the crowd on the balcony, when gunfire erupted. He said he didn’t see the shooter’s face, but described how the gunman mounted the hood of a car in the parking lot below, about 15 to 20 feet from where Feliciano and Batie were standing above, and let off 15 to 20 rounds. Skillman’s attorney, Jason Charles Matey, attacked Feliciano’s testimony about how he remained on the wooden plank for a few moments while risking getting struck by bullets. Matey also pounced on inconsistencies in the statement Feliciano provided to police the night Batie was killed, saying he did not tell police he saw a man in a gray hoodie opening fire. “Mr. Feliciano, you left out the most critical part that you saw the shooter?” Matey asked. Feliciano grew combative when Matey ticked off his rap sheet, noting numerous convictions for aggravated assault, in addition to pending charges of aggravated assault and burglary. This was before Long took the stand and said he saw Skillman throw two punches at another man on Division Street and zig-zag through the crowd when he noticed the police officer on his heels. “He was moving at a quick Pace,” Long said. When Skillman attempted to hop a fence on the 400 block of Division Street, Long drew his gun and ordered him off the gate. Skillman was arrested and frisked, the police officer said on cross examination, but no handgun was found. Skillman had some personal effects, including a black wallet and Trojan Magnum condoms, which were taken from him when he was processed at Trenton Police headquarters, Long said. He was charged with improper behavior and obstructing the administration of justice, Long said. A month later, Skillman was charged with murder. Christopher Campbell, Tucker’s attorney, noted on his cross examination of Long that Tucker was nowhere to be seen. “Exactly,” Campbell responded, before sitting down. Trenton Police crime scene detective Maricelis Rosa-Delgado spent the remainder of the afternoon camped out on the witness stand, meticulously describing items she collected from the crime scene. They included 22 spent shell casings and two bullet fragments found in the parking lot of the banquet hall. She also collected a black winter hat, a ski mask, a red and blue Snapback baseball hat, a lighter and a black and white bandana. She dusted for fingerprints and took DNA swabs off three vehicles in the banquet parking lot. She salvaged only a single fingerprint which did not contain enough “rich detail” for a comparison to be made with fingerprints maintained in a law enforcement database, Rosa-Delgado said. “What did you get is really the question,” Smithson said. Assistant Prosecutor James Scott told the judge it was important to put as much evidence before jurors – even if it didn’t point to the defendants – to ensure they understand police performed an exhaustive investigation. “If the jury doesn’t hear that evidence, defense counsel will stand up and say, ‘It’s a rush to judgement,’” Scott said.